Our exclusive partnerships with golf establishments on the Monterey Peninsula provides us the opportunity to offer below market specials and package discounts throughout the year. Now is your chance to experience the world-renowned Pebble Beach Resorts! 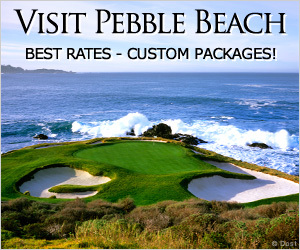 Our Pebble Beach packages are offered at the lowest rates available. 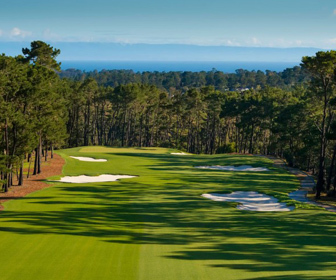 One of the top rated courses on the Monterey Peninsula and former host of the AT&T National Pro-AM PGA Tour event. Located in the middle of the Del Monte Forest, inside the gates of Pebble Beach, CA. The renovation is now complete and the course looks fabulous. Offer available for groups of 2 or more. The Nicklaus Club is an exceptionally beautiful, pristine, private club and the only Jack Nickolas designed course on the Monterey Peninsula. 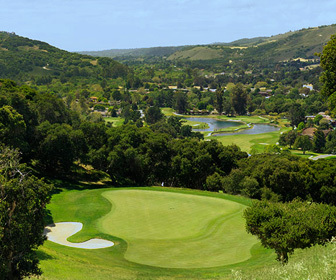 The natural beauty of Carmel Valley offers an extraordinary setting for Carmel Valley Ranch golf course. 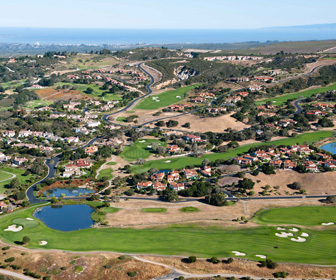 Designed by the legendary architect Pete Dye, this course preserves the integrity of the landscape with spectacular vistas of Carmel Valley. You will find classic Pete Dye characteristics on every hole. Honored by Golf Magazine as one of "America's Top Golf Resorts". Offer available for groups of 2 or more. 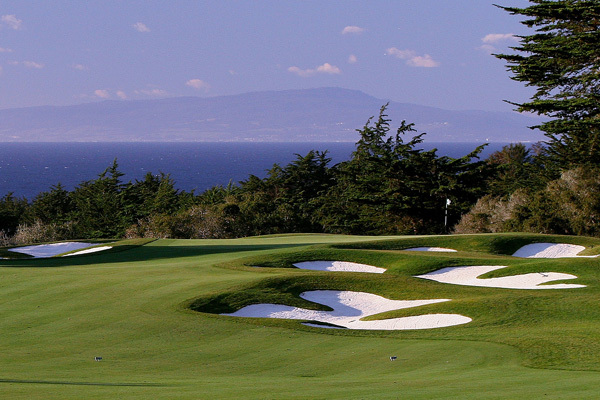 Marvelous course located at the northern portion of Monterey Bay. 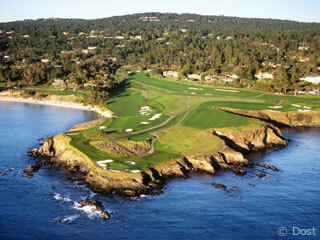 Designed by the famous English architect Alister MacKenzie, who is also noted for creating Augusta and Cypress Point. The course is famed for its breathtaking scenery and rich golf history. Offer available for groups of 4 or more. 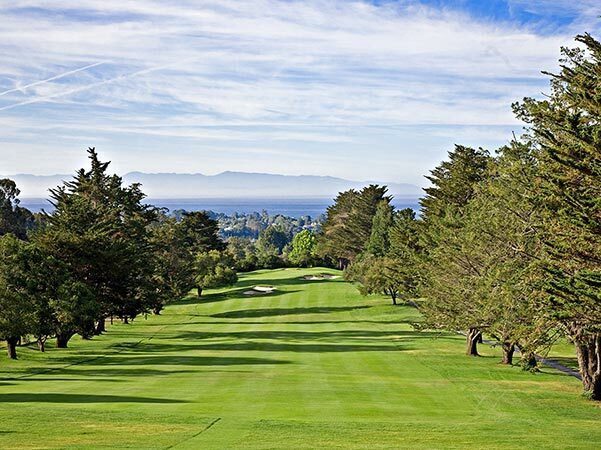 A spectacular test of golf with 36 holes and views of the Monterey Bay. Past multiyear host of the Buy.com Tour tournament as well as US Open qualifying.